At our chiropractor Canberra clinic we’re aware that when a human being is born, spinal misalignment may occur. This is because of the forces involved when babies enter the world. Then, during the subsequent years as we learn to walk, have accidents and injuries, play contact sports, and have sedentary jobs or do heavy manual labour, we’re continually subjecting our spine to stress. So from birth, right up to old age, what can we do to look after our spine and nervous system? And what do we need to do now to make sure that any spinal problems don’t end up leading to poorer health? 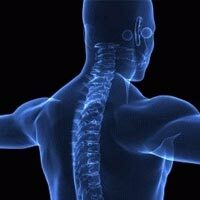 Here at our clinic we can help you to achieve and maintain a healthy spine. More specifically, we will correct the slight misalignments of the bones of the spine which interfere with the ability of the nervous system to carry the vital messages that are necessary for the proper functioning of your body. A spine free of nerve interference enables your body to function closer to its potential and minimises the chances of health problems developing later in life. We believe that most people require ongoing spinal care in order for their body to achieve and then maintain optimum health. This belief is based on the fact that spinal misalignments have typically been present for years, or even decades. As a result, the spinal bone gets very used to being in this abnormal position, with the muscles and ligaments around the spinal bone becoming accustomed to holding it in that position. At our clinic, we help the body’s own spinal muscles move the spinal bone back to its normal position. However, it won’t stay there very long because the pull of the muscles and ligaments around the spinal bone will want to move it back to where it is used to being. So it has to be retrained to stay longer in the correct position, and that is why most people need to visit our clinic regularly. Even when the spinal bone is staying in place well, maintenance visits are advisable to help keep it that way because the spinal bone will have a tendency to misalign again over time. Our aim to ensure that your spine is as healthy as it can be so that you can be as healthy as you can be. To find out more about how you can protect yourself now from poorer health in the future, contact us or make an appointment for a consultation at our chiropractor Canberra clinic.